Truly the church is heaven upon earth; for where the throne of God is, where the awful mysteries are celebrated, where the angels serve together with men, ceaselessly glorifying the Almighty, there is truly heaven. And so let us enter into the house of God with the fear of God, with a pure heart, laying aside all vices and every worldly care, and let us stand in it with faith and reverence, with understanding attention, with love and peace in our hearts, so that we may come away renewed, as though made heavenly; so that we may live in the holiness natural to heaven, not binding ourselves by worldly desires and pleasures. 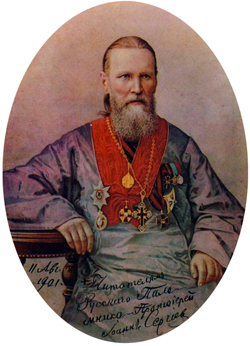 -St John of Kronstadt (1829-1908), spiritual adviser and confessor to Russian Emperors Alexander III and Nicholas II. 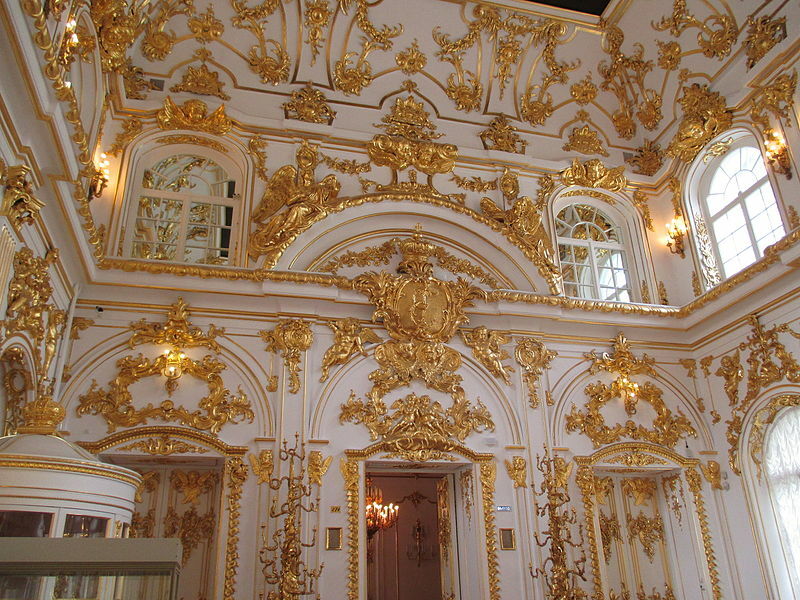 The Imperial Chapel at the Winter Palace (Rococo), consecrated for use in 1763 under Empress Catherine II (r. 1762-96). Executed on Empress Elizabeth Petrovna’s order (r. 1741-62) by Francesco Rastrelli. 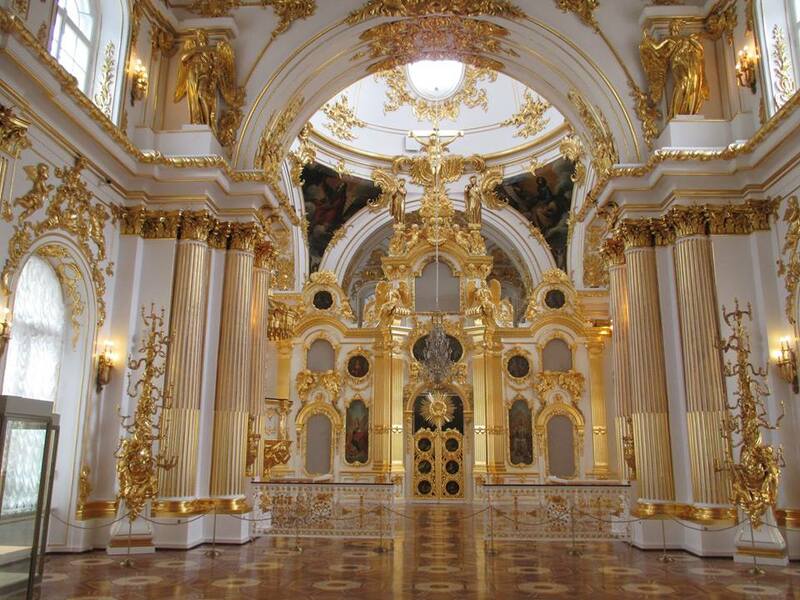 The Imperial Chapel or “Grand Church” at the Winter Palace was completed in the Rococo style then immensely popular across Europe. Its Russian name is Cобор Спаса Нерукотворного Образа в Зимнем дворце. 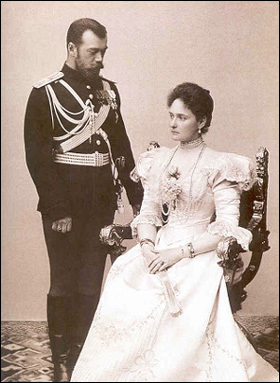 It is where Emperor Nicholas II Alexandrovich and Empress Alexandra Feodorovna (Alix of Hesse) were married on 14/26 November 1894, on his mother the Dowager Empress Maria Feodorovna (Dagmar of Denmark)’s birthday. 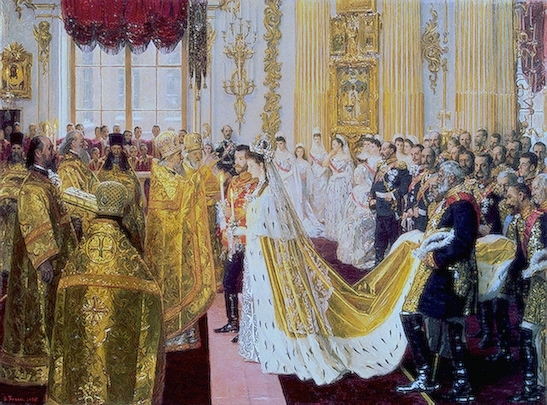 Portrait by Laurits Tuxen of the wedding of Tsar Nicholas II and the Princess Alix of Hesse-Darmstadt, which took place at the Chapel of the Winter Palace, St. Petersburg, on 14/26 November 1894. The chapel was designed by the Italian maestro Francesco Rastrelli, who was personally in charge of the three-tier iconostasis, whose magnificent icons were painted by Ivan Ivanovich Belsky and Ivan Vishnyakov. The Italian Francesco Fontebasso painted the evangelists in the church’s spandrels and the “Resurrection of Christ” plafond in the vestibule. It was constructed during the reign of Empress Elizabeth Petrovna, Peter I’s daughter, from October 1753-June 1763, and dedicated in Empress Catherine II’s presence by Archbishop Gabriel (Gavril) Kremenetsky on 12 July 1763. 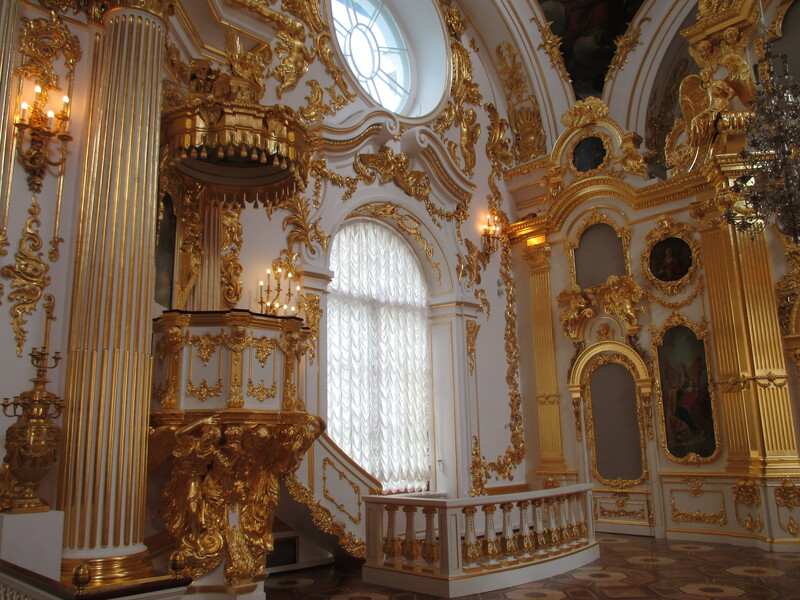 The church is located on the piano nobile in the eastern wing of the Winter Palace, and is the larger, and principal, of two churches within the Palace. A smaller, more private church for the use of the Imperial Family was constructed in 1768, near the private apartment in the northwest part of the wing. The gilded pulpit of the chapel from which sermons were delivered and the Gospel read. 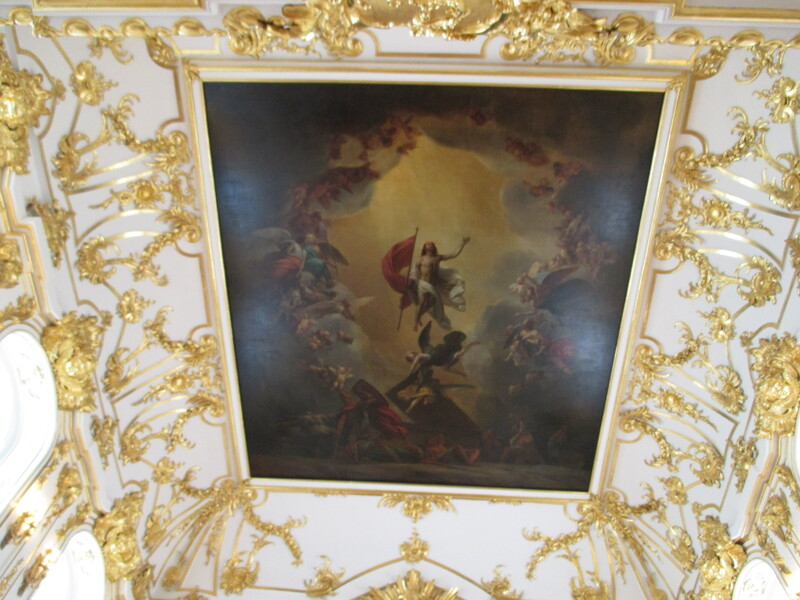 Western-style icon of the Lord’s Ascension into heaven on the chapel ceiling. The western wall. As is tradition in all Orthodox churches, the entrance is at the west and the iconostasis and altar to the east. 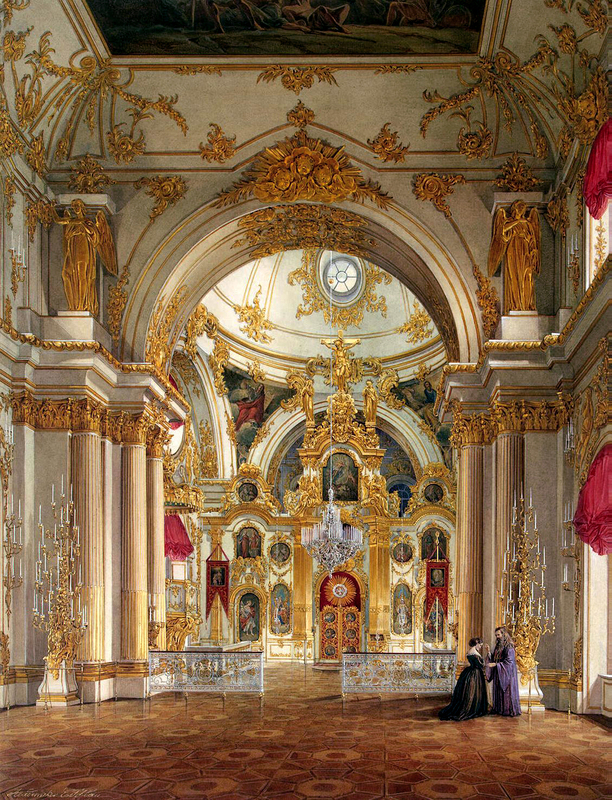 As the ‘chapel royal’ of the Russian Imperial Family, the chapel was designated as a nominal cathedral, dedicated to the icon of the Lord ‘Not-Made-by-Hands’ (see here). This eponymous icon, painted by Feodor Ukhtomsky in 1693, lavishly decorated with gold and diamonds, was placed near the sanctuary by Archbishop Gabriel in 1763. 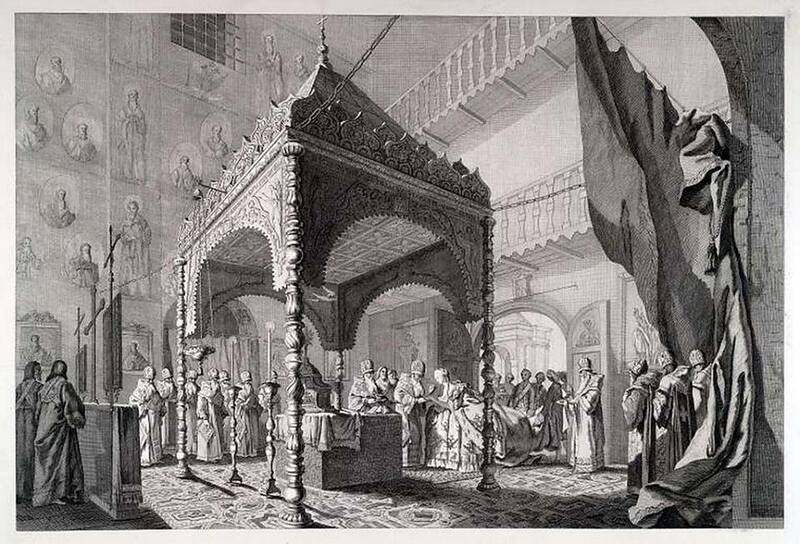 The Cathedral of the Not-Made-by-Hand Image of Our Saviour in the Winter Palace, by Eduard Hau (1866). 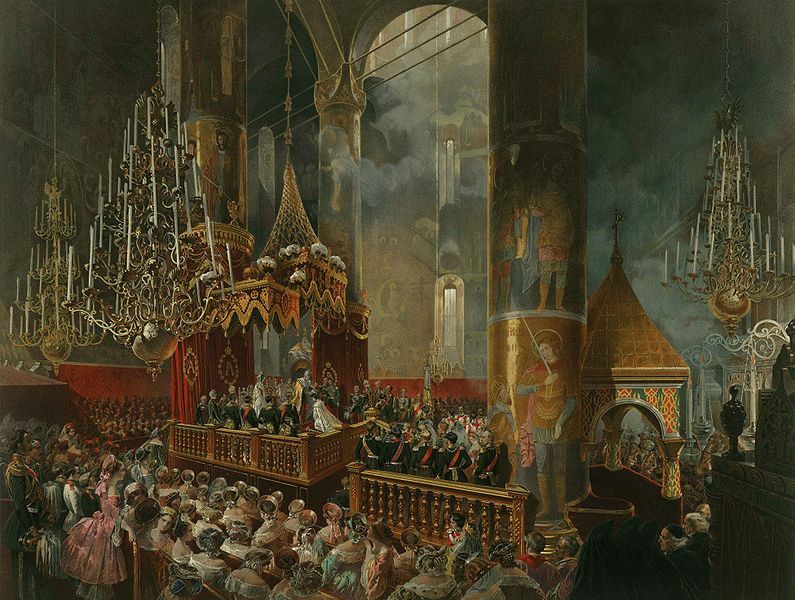 Painted during the reign of Alexander II. 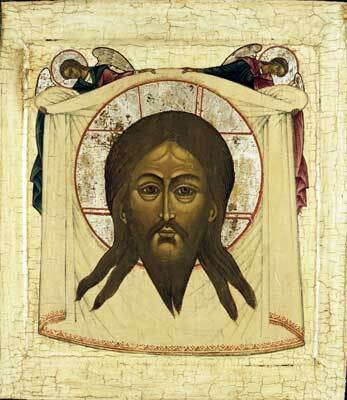 Russian copy, undated, of the Icon of Christ ‘Not Made by Hands’. 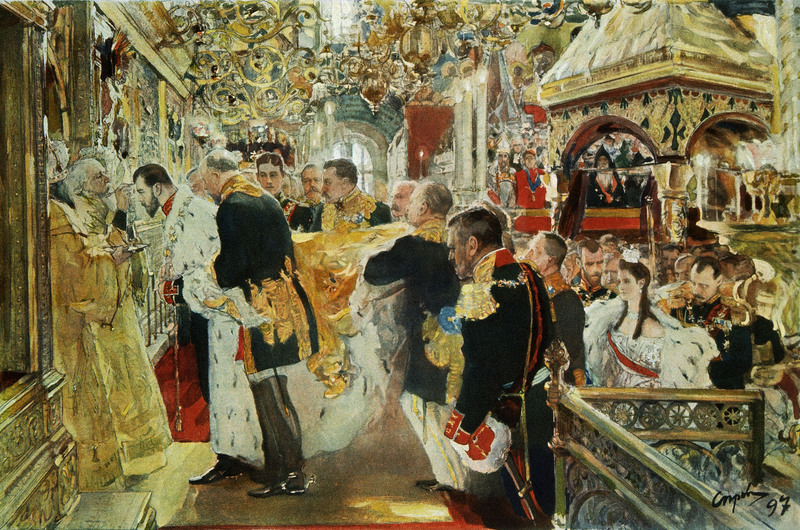 The Imperial Chapel was targeted early on in the Russian Revolution by the atheist Bolsheviks, who ordered it closed for worship in May 1918 just two months after Emperor Nicholas II’s abdication. 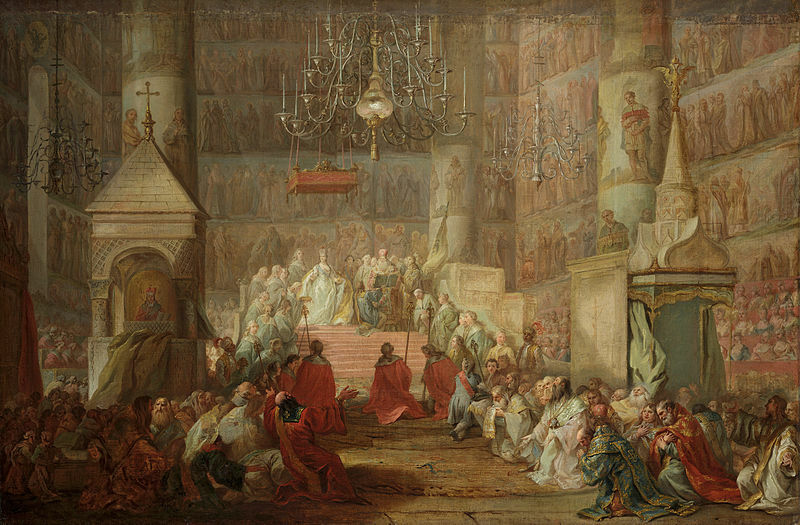 It is now used as an unconsecrated exhibition hall of the Hermitage Museum. Between 2012 and 2014 a comprehensive restoration project resulted in the recreation of the original design of the Court Cathedral. The icons, the candelabra, the standard lamps and pieces of the iconostasis, the pulpit, the lantern and the altar canopy were returned to their original place. May divine services one day again be held in this beautiful church! Courtesy of Nigel Fowler Sutton’s superb YouTube channel. Here Mr Sutton presents photographs of the Tsar from infancy to his final days of confinement and ultimate death. 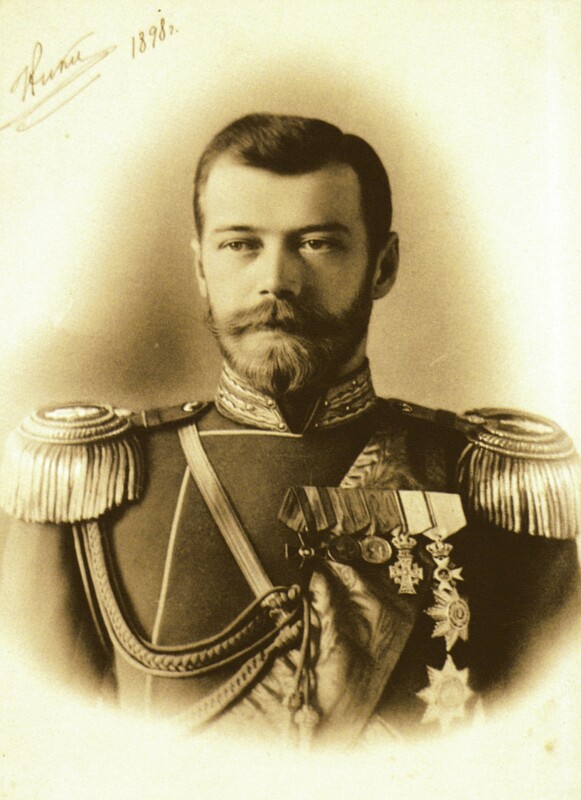 Tsar Nicholas II was the last Emperor and Autocrat of all the Russias. 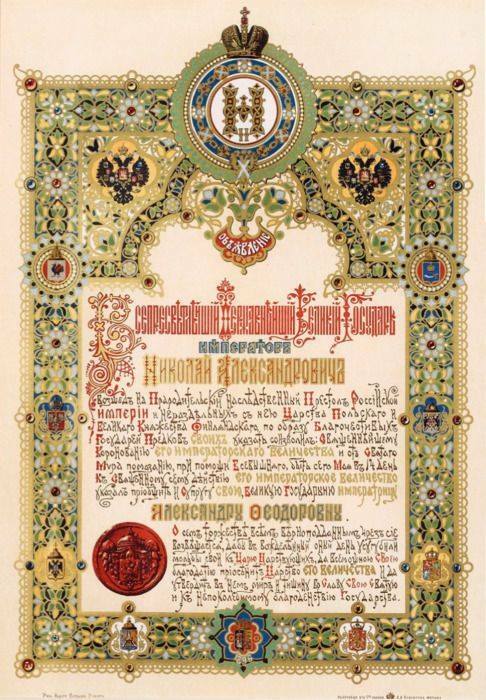 Born on 18 May 1868 he came to the throne on 1 November 1894 following the untimely death of his father Tsar Alexander III. 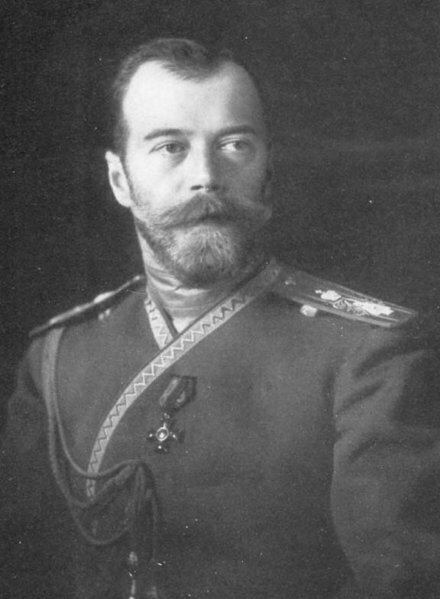 He ruled the vast empire of Russia until his abdication on 15 March 1917. 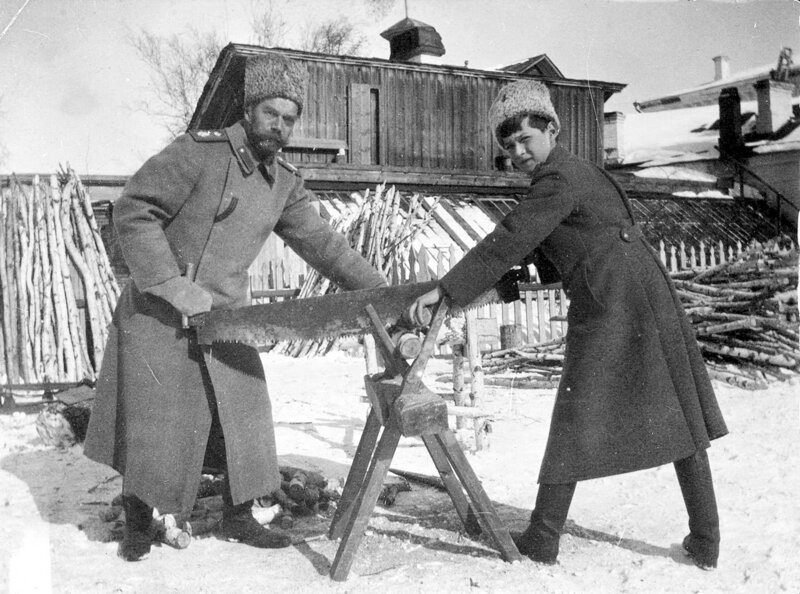 Together with his family, he spent the next year in captivity, subject to great deprivation, ridicule, and harassment by his Bolshevik jailers. 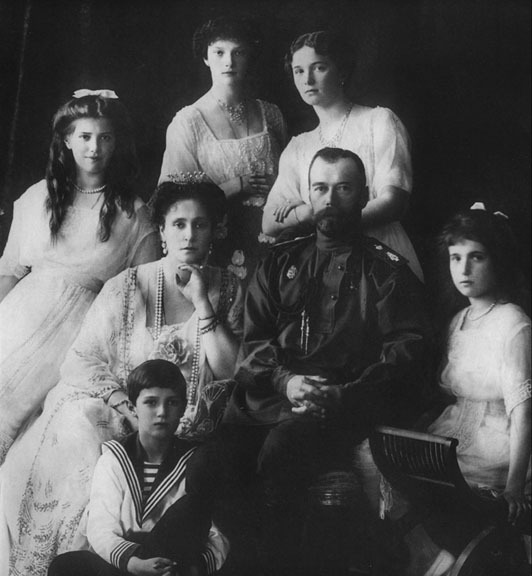 During the night of the 16/17 July 1918 he was murdered at the Ipatiev House in rural Ekaterinburg with his wife Empress Alexandra, his son the Tsarevich Alexey, his four daughters, the family doctor, his valet, the lady-waiting to the Empress and the family cook. 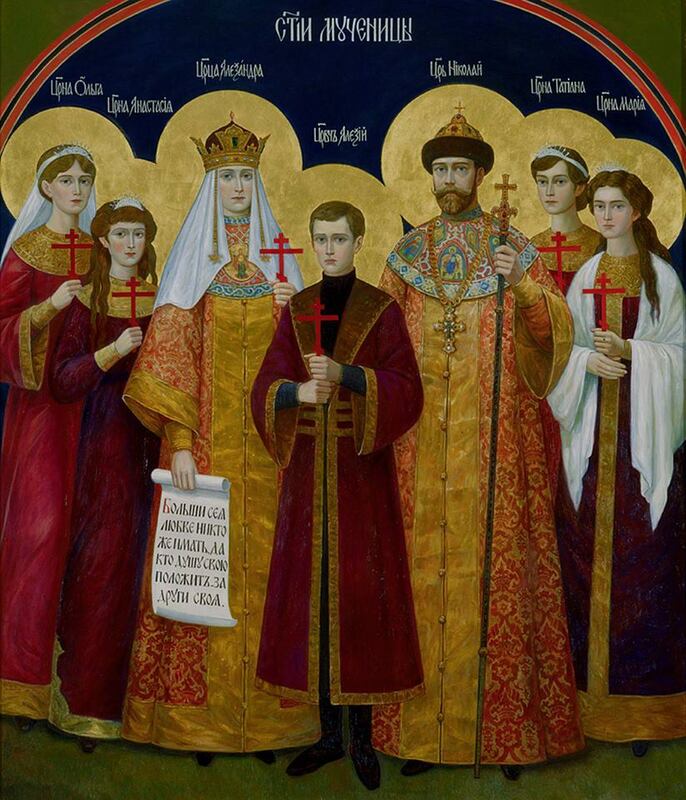 In 1981 the Synod of Bishops of the Russian Orthodox Church Outside of Russia (ROCOR) glorified the late Imperial Family as Royal New Martyrs of the Orthodox Church. 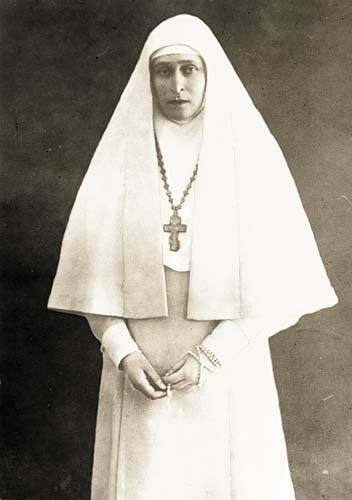 The new martyrs also include St. Elizabeth Feodorovna Romanova, sister to Empress Alexandra and aunt-by-marriage to Nicholas II. 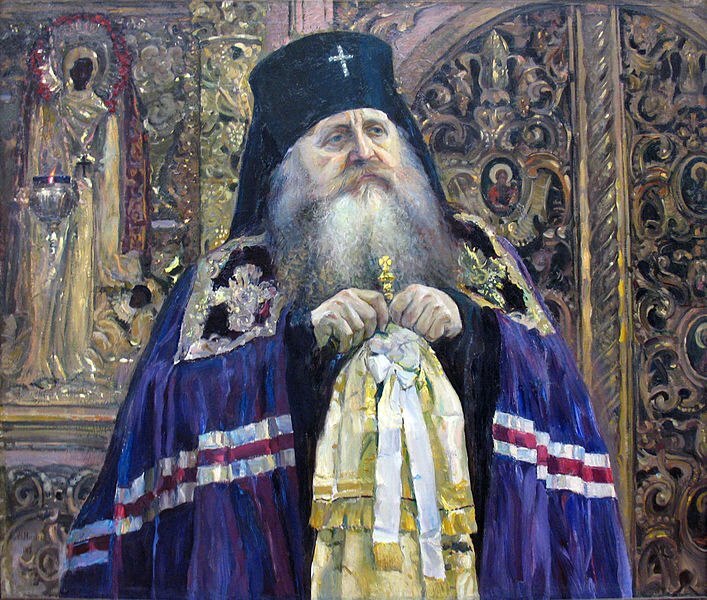 In 2000, with the blessing of His Holiness Patriarch Alexey II, the Moscow Patriarchate of the Russian Orthodox Church followed suit, glorifying them as passion-bearers, or those who meet earthly death with Christian dignity and fortitude. 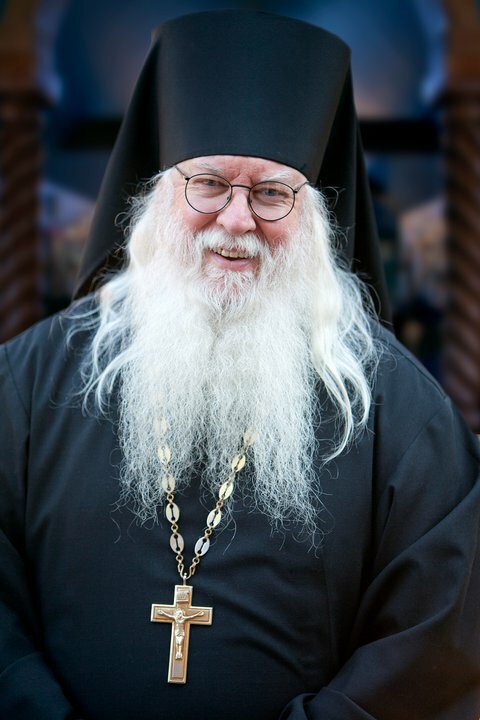 I first came across this extraordinary article some months ago by way of its republished link here on Pravmir (Orthodoxy and the World), a superb website maintained in English by the Russian Orthodox Church. I cannot describe the utter amazement and spiritual joy which moved within me as I read the Empress’ reflections and observations on matters of crucial importance to any Christian: marriage and family life. I can only wonder in awe at what a wonderful, godly and extraordinary marriage Sts. 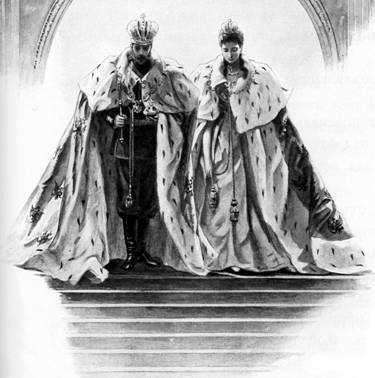 Nicholas and Alexandra so clearly lived, and pray that I may someday be such a loving husband as the Emperor was for his wife, and blessed with so wonderful a wife as was the Empress for her husband. 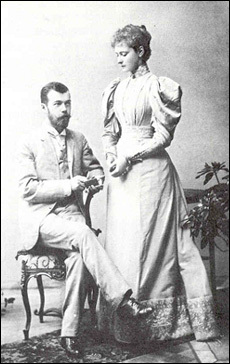 This is the official engagement portrait of the young Nicholas and Alix, who, once chrismated into the Orthodox Church, took the name Alexandra. Her family and friends continued to call her “Alix” or “Alicky”, and her husband reserved for her the pet name “Sunny”. 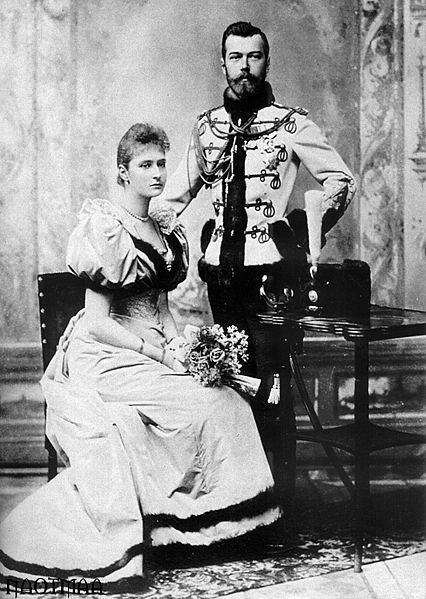 One of the official portraits of the young couple. Their marriage is one of history’s greatest love stories. 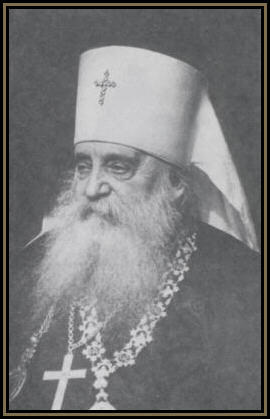 The Empress’ profoundly Orthodox Christian spiritual formation and education breathes through each sentence like a quiet, steady spirit, her Orthodox soul acting in harmony with her intellectual expression of mind. Given the Empress’ obvious talent as a gifted writer and poet, even aside from the profound contents of her writing, every sentence she writes is eminently quotable, worth jotting into a journal or notebook and pondering with your spouse or hopeful spouse. Here, Empress Alexandra (far left) sits with her husband (standing next to her) and her grandmother Queen Victoria (1819-1901, r. 1837-1901). To Queen Victoria’s left, standing beside her is her son and heir, Edward, Prince of Wales, the future Edward VII (r. 1901-1910). 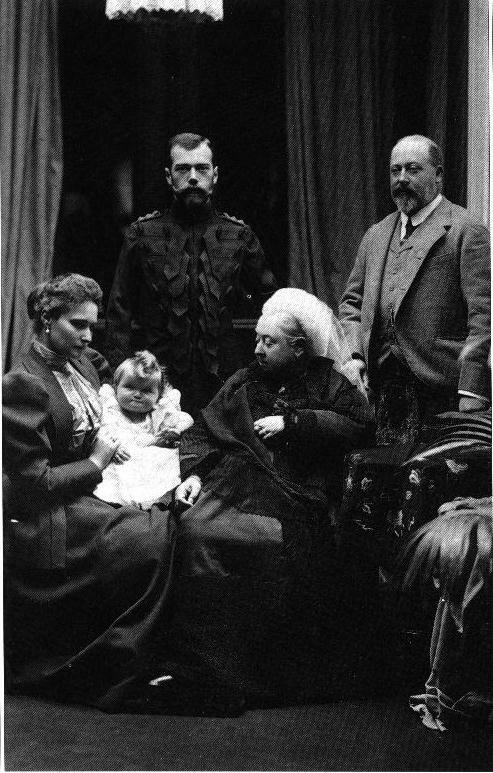 I am not sure which of the Grand Duchesses is the infant here, but plausibly it could be Olga, the eldest, as there are no other babies present. As I read each line, I became more and more aware that I was reading not only the incredibly astute, compassionate, and self-aware observations of a very well-educated and sophisticated Empress, but also, the prayerful revelations of a living Saint. How can one read words such as these, and not know, not discern as clear as the sun rises in the morning sky and sets in the evening, that this Empress as a profoundly holy woman whose life – along with that of her husband – radiated with an inner nobility and long-suffering kindness borne by the grace of God? 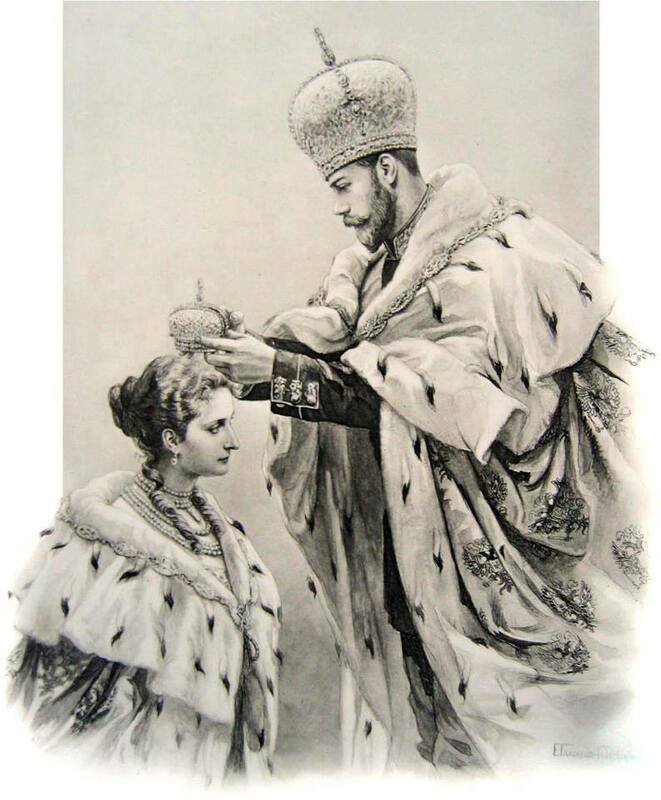 This sketch shows the moment at their joint coronation in which Nicholas II, already crowned with Catherine II’s Great Imperial Crown, moves forward to place the smaller consort’s crown on his wife’s head. Moments before this scene, the Emperor would have briefly lifted off the crown which he had just placed on his head, and touched it to his wife’s forehead, symbolically joining her to his exercise of the monarchical power entrusted to him by God. Here are several more beautiful observations which the Empress has left for all generations to read. I will describe what she writes no further, but I simply urge you to read these incredible words for yourself, and then, if you are so moved, as I was, to then share them with as many people as you are able. Were every Christian married couple in the world to follow the Empress’ exhortations here, I am convinced that adultery, abuse, and painful divorces would fade from among Christians. 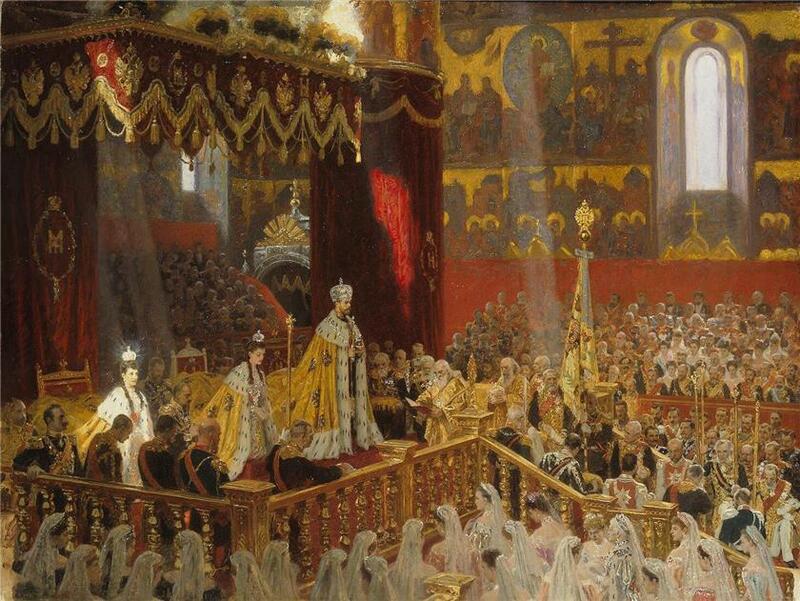 Most Holy Empress Alexandra, passion-bearer and New Martyr of the Church, pray to God for us! Nicholas himself made a similar observation about his fate when speaking to his Prime Minister Pyotr Stolypin. In his diary, Stolypin noted with some degree of incredulity that Nicholas spoke these words without any hint of alarm or distress. This must have taken place sometime before the latter’s 1911 assassination at the Kiev Opera House in the presence of the Emperor and his eldest daughters, the Grand Duchesses Olga and Tatiana. Immediately after the assassin, Dmitri Bogrov, shot him twice, causing panic to erupt among those around him, Stolypin calmly rose from his chair, removed his gloves and unbuttoned his jacket, exposing a blood-soaked waistcoat. He sank into his chair and loudly exclaimed “I am happy to die for the Tsar” before motioning to Nicholas in his imperial box to withdraw to safety. Nicholas remained in his position, and in one final gesture Stolypin bowed to his sovereign, blessing him with a sign of the cross and saying “May God save him!”. Bogrov then attempted to stab Stolypin, but tripped and was subsequently caught and hanged. As the First World War dragged on with mounting casualties and no conclusive end, causing a decline in morale and furthering discontent among those disposed toward revolutionary sentiment in the armed forces and urban factories, the Empress and her older daughters continued to serve actively as hospital nurses. 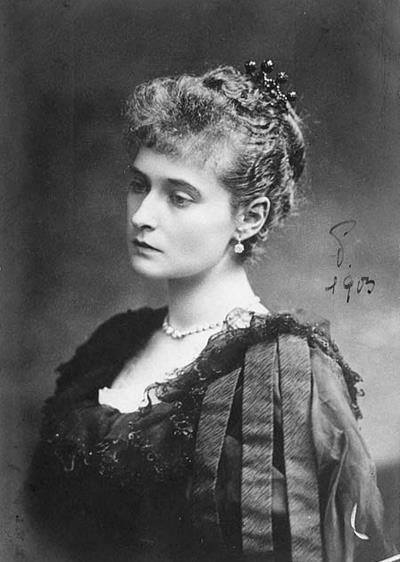 Numerous historical accounts of the Empress’ life during the war years, especially the memoirs of the women who perhaps knew her best, her dear confidantes the Countess Anna A. Vryubova and Baroness Sophie von Buxhoeveden, recall her dedicated service in the blood and disease-filled hospitals of wartime Moscow and St. Petersburg. 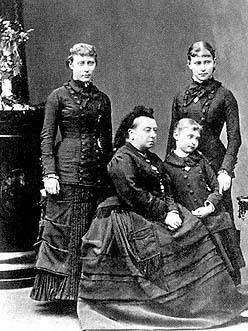 As soon as the war broke out, the Empress and the four Grand Duchesses (Olga, Tatiana, Maria and Anastasia) became nurses; and hospitals were opened at Tsarskoye Selo, near the family’s residence, where wounded soldiers were brought. They worked long hours, diligently and tirelessly following the commandment of Christ to visit the sick, since “inasmuch as ye have done it unto the least of these My brethren, ye have done it unto Me” (Matthew 25.30). These are the qualities of a saint, ones which the young Princess discerned in her own mother. 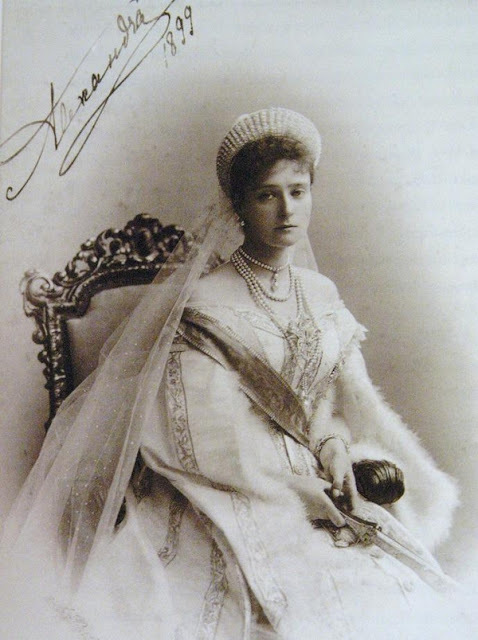 Grand Duchess Olga, clearly a beautifully gifted writer possessed of praiseworthy talent as a poet, evidently perceived the devastating combined impact that her father’s abdication and the Tsarevich Alexei’s incurable hemophilia continuously wrought on her mother’s emotional, physical and spiritual health. ~ Grand Duchess Olga Nikolaevna, writing from Tobolsk in the Urals during the Royal family’s exile there in summer 1917, about a year before their brutal execution. 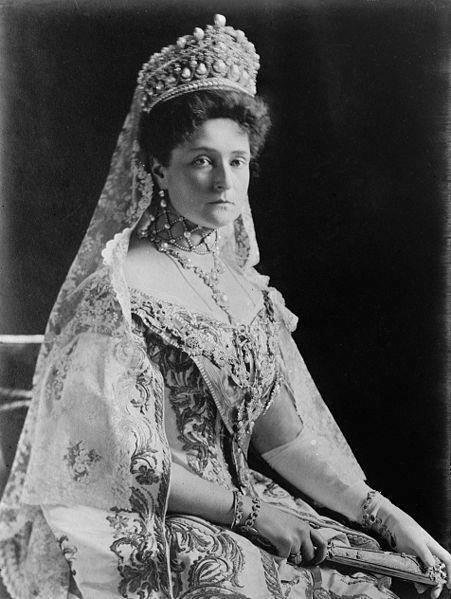 The change in the Grand Duchess’ tone is remarkable: from an already highly perceptive young woman, it is evident that the several harrying months spent under house arrest confined to a few small rooms at the old Governor’s House in Tobolsk had caused the close-knit Imperial Family to keep a more eternal perspective. 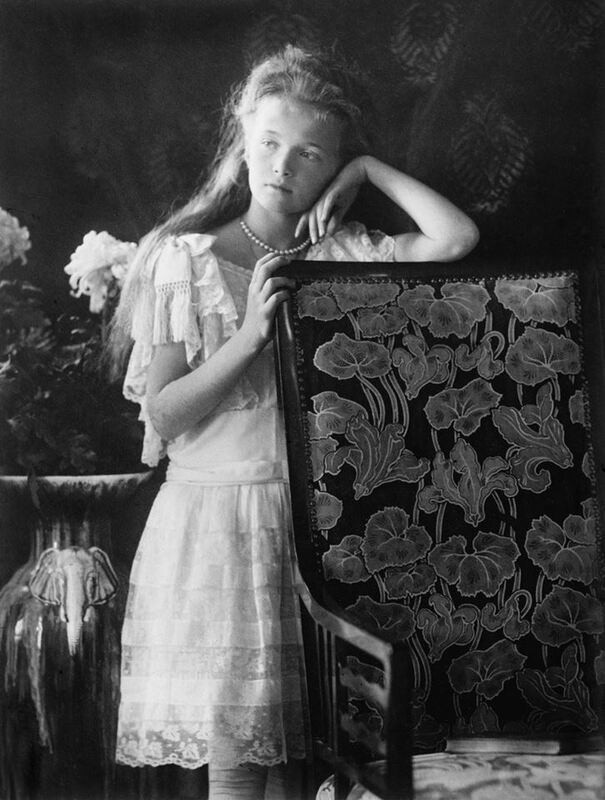 We read of a young woman both clearly aware that her words would eventually be read by many people who heartily supported the Romanov monarchy and the cause of their liberation from the Bolsheviks, and acutely aware that her father abhorred the continued bloodshed of the civil war between Whites and Reds. 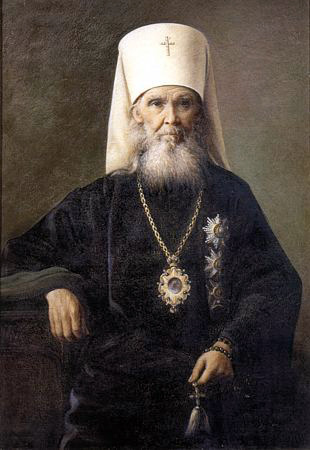 Nicholas’ exhortation for his supporters to refrain from further bloodshed in the cause of his liberation is at first glance surprising (though not when we take into consideration the Emperor’s profound concern for his people, whom he loved as much as he did his own children), and indeed, extraordinary, all the more so given the successes so many White army forces were having against the Bolsheviks at the time the Grand Duchess wrote this letter. One can only infer that the Imperial Family were permitted to receive little to no news of ongoing political developments outside the walls of their prison. 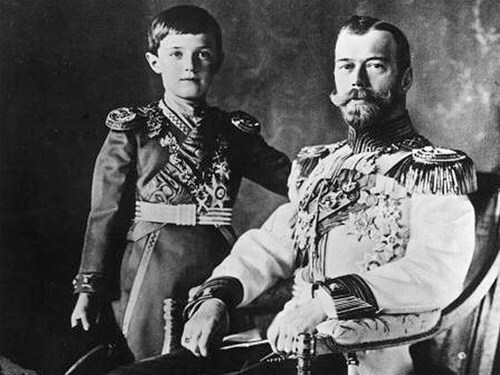 Nonetheless, for the former Emperor and Autocrat of all the Russias to write that “he has forgiven everyone and prays for everyone, that they should not take revenge for themselves”, one comes away with a clear sense that the Imperial Family anticipated their eventual martyrdom. Reading the following poem, another one beautifully composed by the Grand Duchess Olga, its meaning is unmistakable: by the time that she wrote these words, it is certain that the Imperial Family expected to be martyred. The Princess’ poem here is both hymn and dirge, a psalm of praise and one of sorrow and fear, but above all, a canticle of deep faith and a discernment of God’s will in all things. True of saints’ writings, we see that the centrality of the Princess’ poem is not her dwelling on her own anguish or horror at the thought of a potentially agonizing death, or lamentation at the thought of her earthly life cut short so abruptly, but a profound trust in God’s providence that His purpose guides all things and that, ultimately, He would work good out of evil. I do not know how many months or weeks before her death the Grand Duchess wrote this haunting poem, but I come away thinking that it is truly astonishing – and almost unheard of today- for a young woman my age to be so accepting of a possibly imminent death or any manner of torture. So long as the Imperial Family, with God’s aid, continued to endure and persevere in faith, withstanding all evil and, above all, forgiving “our neighbors’ persecution”, the Grand Duchess prays, above all, to receive strength to “pass the last dread gate” into eternal life.